Russell Lee Horn (“Russ”) was born Dec. 17, 1924, in Ashland County, Ohio, where he attended a one-room country school until his family moved to nearby Loudenville, where he attended high school and played football. In 1943, he graduated and enlisted in the U.S. Coast Guard. His first duty was on a PT boat patrolling Virginia’s Norfolk Channel looking for German submarines. He was sent to the Pacific Theater as one of a 24-man special Coast Guard unit to install navigational equipment on islands throughout the Pacific. He was in the Philippines waiting to attack Japan when World War II ended. Returning to the States, he disembarked in Southern California, completed some college and entered the corporate world. Transferred by his company to manage an office in Boise, he discovered Idaho! When told to return to corporate headquarters, he resigned to stay in Idaho and never worked for anyone else again. He became an agent for Farmer’s Insurance and a real estate sales person in the Richard B. Smith firm. Here he made the sale-of-his-life when he met and married Sally Thomas in 1965. Shortly after Russ and Sally were married, they moved to Hailey to raise their family—Sally’s daughter Mary Ann and son Mark Thomas and three years later their own daughter Hilary. Russ began to establish small businesses of his own: Horn Insurance & Real Estate, Horn & Grant Construction Co., Land Mercantile Co., The Color Haus, Northwood Interiors, and Sun Country Management. He developed two of the first residential subdivisions in Blaine County: Trails End and Broadford Highlands. He invested in the historic Hiawatha Hotel when it reopened in the 1970s. He traded property for a small apartment complex on Walnut Street in Ketchum, remodeled and added more units. Known for reasonable rents and allowing pets, it was affectionately called “Dog Alley.” In 1995, Russ sold Sun Country Management and returned to working for someone else— Sun Valley Co.—first in guest services on Baldy, then in Pete Lane’s Ski Shop at River Run, and finally with Sally in lift ticket sales. As soon as Russ moved to Hailey, he became involved in the community—a Rotarian, president of the Chamber of Commerce, member of Emmanuel Episcopal Church, Boy Scout Troop leader, ski instructor at Rotarun, committee member of the Hailey Days of the Old West and member of the Wood River Contractors Association. As one of the original real estate brokers in Blaine County, he helped organize the Sawtooth Board of Realtors. In his later years, he joined the David Ketchum Post of the American Legion, volunteered weekly at St. Luke’s Hospital, and offered a helping hand at the Sun Valley Jazz Festival and the Sun Valley Summer Symphony. He was an active member of St. Thomas Episcopal Church where he trained acolytes, planned adult education and attended weekly Bible study. 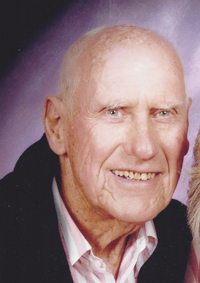 He loved Blaine County with its small towns and great recreation: alpine and cross country skiing, hunting, fishing, hiking, white-water rafting. He developed a passion for bike riding, enjoying long distance trips in France, Italy, British Columbia and the San Juan Islands, as well as a trip with Hilary on Highway 101 along the Oregon coast from Washington to California. Russ and Sally danced with the High Country Swingers, organized dog trials, and hauled their girls and their horses to shows throughout Idaho. Russ and Sally enjoyed extended world travel. As the family joke goes, he “followed Sally wherever she lead him!” They’ve owned a condo on Maui for 30 years. Russ made his last visit this past winter. Russ’s last three days were spent in the Cardiac Care Unit of St. Luke’s Hospital in Boise. He died on Aug. 1, 2014, with Sally, his wife of 50 years, holding his hand. He leaves Sally; their daughter Hilary (Greg) Frazer; his step-daughter Mary Ann Neff; his step-son Mark Thomas; his daughter Susan (David) Peoples; four grandchildren and 11 great-grandchildren. His daughter Heidi Margret Horn preceded him in death. A celebration of Russ’s life will be held on Thursday, Aug. 28, at 2 p.m. at St. Thomas Episcopal Church on Sun Valley Road. A reception will immediately follow on the patio. In lieu of flowers, the family requests that any remembrances be made to the Hospice of the Wood River Valley, the Sun Valley Summer Symphony, or St. Thomas Episcopal Church (for adult education).